At CrossFit Skirmish, we are serious about our children’s fitness. We understand the challenges that parents face in getting their kids active and how difficult it can be to help them to develop fitness habits for life. 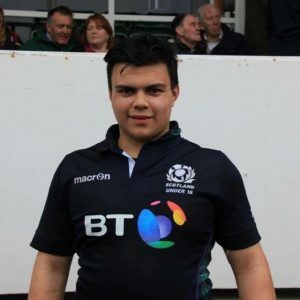 Given that 20% of children (10-11yrs) in the UK are now obese, many leaving school with diabetes, we need a new activity options for young people. This is why we are launching Scotland’s first CrossFit Youth Academy, a Strength & Conditioning Academy that teaches the fundamentals of fitness, is progressive and in line with their physical development with sessions for all ages: 3-5yrs, 6-12yrs, 13-17 yrs. We are offering free feedback sessions to help us make our new Academy something truly special. In addition to CrossFit Strength & Conditioning qualifications, the coaches include a Kiwi semi-pro rugby player & strength & conditioning coach (Jesse Balemi), an ex MMA & Blackbelt Judo and Olympic weight lifting coach (Sasha Voronov) and CrossFit Kids & Olympic lifting specialist (Angela Miller). This team really know what they are doing, with the know-how to deliver the training you/your kids need get seriously fit for life. We are doing some free TASTER sessions to get you/your young people’s feedback… Are they fun, are they tough enough, is there specific training they should include? The sessions ARE FREE with your feedback being used to hone a new CrossFit Youth S&C Academy which will launch in January. Kids of all ages are welcome to attend the free sessions, however, parents must do the bookings. Parents are very welcome to watch and provide feedback at the sessions. We will also follow up with an email questionnaire too. We hope you enjoy these sessions and take the opportunity to provide feedback. If you want anymore information, contact Siobhan@energygym.co.uk. Places are limited, so click on the sessions below to bag your spot. You are never to young to start good habits. CrossFit really is suitable for all ages which is why we start them young. Tots is all about developing skills as young as possible and making it a game. 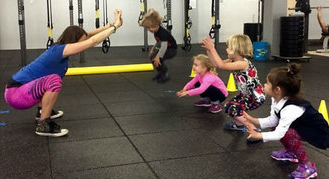 Let’s face it – kids are naturals at squatting, forward rolls etc so we like to harness it young. Tots are taught the FUNdamentals of movement (focusing on vestibular skills – balance, motion, and co-ordination) through exciting games, challenges, and energetic instruction. Every class includes fitness games and positive reinforcement. Classes run for 20 minutes. Our great coaches Angela and Jesse will bring out the best in them, whilst making it all just one big game – they have definitely unleashed the inner child for this class! 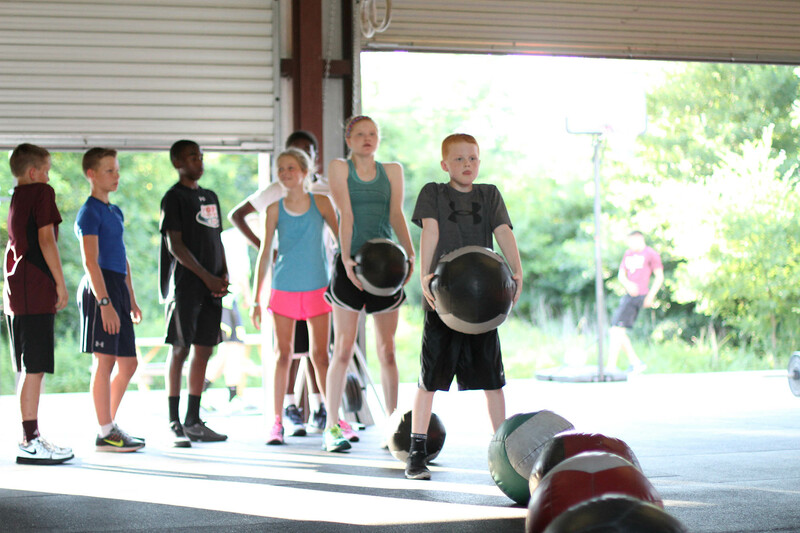 Our CrossFit Juniors program is focused on creating a healthy and active environment and where we make fitness fun. 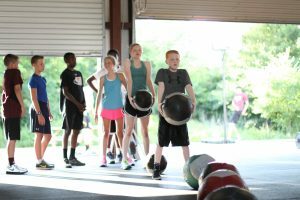 Every CrossFit Juniors session includes a warm-up, practice of a basic athletic movement or gymnastics skill, and a workout made into a fun game. Our goal is to teach safe movements and help instill lifelong healthy habits. Get ready for fun and mayhem! 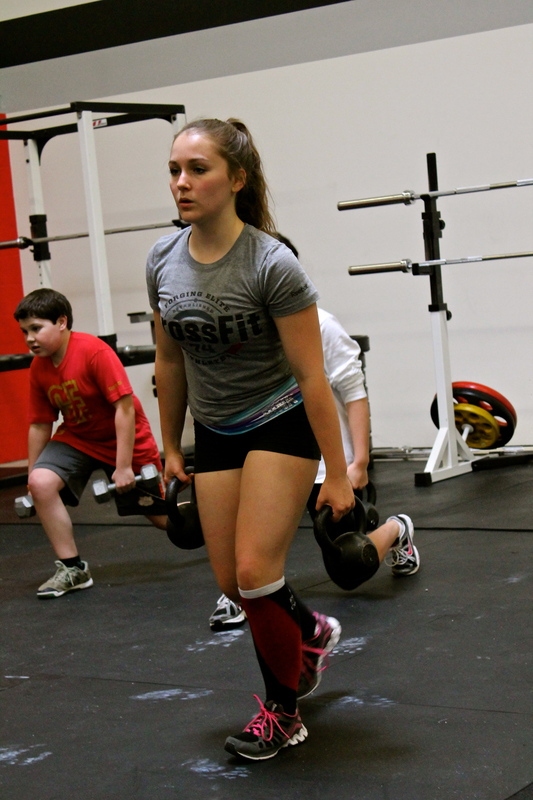 Our CrossFit Youth program is focused on creating a healthy and active environment and where we make fitness fun. Every session includes a warm-up, practice of a basic athletic movement or gymnastics skill, and a workout made into a fun game. Our goal is to teach safe movements and help instill lifelong healthy habits. Youth classes will include all CrossFit Fundamentals including safe, weight lifting techniques as well as all the usual favourites from burpees to pistols. We understand that all kids develop at different rates which is why our coaches are trained in ‘scaling’ exercises to suit the individual and ensure that the exercises are appropriate to their development stage. This is strength and conditioning training designed to support that development – making them strong and confident young people. CrossFit is also innately cool so will appeal to even those who say they are allergic to exercise! Our CrossFit Performance program is designed to support those young people who are serious about sports. 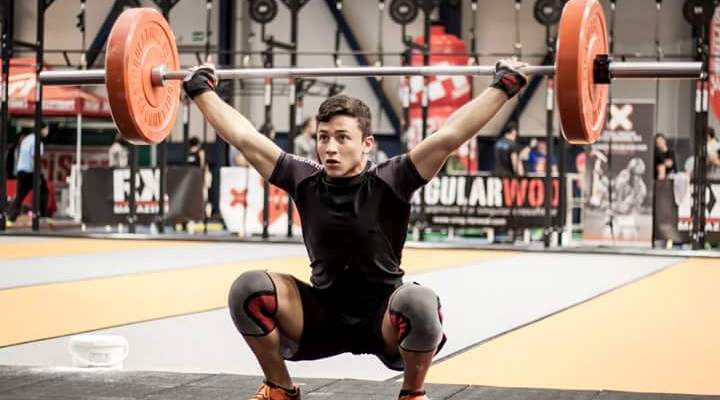 CrossFit is the ultimate strength and conditioning programme which means that whilst CrossFit is a Sport too (check out the video below of the CrossFit Teen Games), it is ideal for those who want to get stronger and faster to perform another sport. Be it rugby, cycling, swimming, hockey, football, rowing etc. CrossFit programming will build their strength, explosive power and endurance. Indeed, Owen and Ben Franks, who are Ex All Blacks and run one of the world’s biggest CrossFit gyms describe CrossFit as what gave them the ‘competitive edge. Our Performance programme will prepare your young ladies and men for senior training and includes high intensity training, plyo work, cardio and safe, beginner’s Olympic lifting for power. Our coaches are great at scaling all moves to ensure that the exercises are appropriate to their development stage. This is strength and conditioning training designed to support that development – making them strong and confident young people. CrossFit is also innately cool so will appeal to even those who say they are allergic to exercise. More importantly your young people will be able to step up their game – really see their sports performance improve.